Portocolom is well known as a secret paradise for triathletes and cyclists all year round. 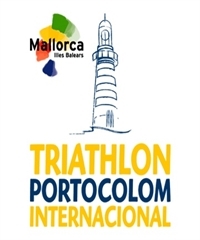 The picturesque natural harbor of Portocolom is the starting point for the Portocolom Triathlon. The swim start is a water start. Then the bike course leads through the idyllic Majorcan hills whose particular challenge is the spectacular climb to the monastery of Sant Salvador. With a length of 4.6 kilometers and 494 meters of altitude, Sant Salvador is one of the most popular and famous climbs on Mallorca and is valued and feared by cyclists and triathletes alike. The run goes through the beautiful old town of Portocolom, along beaches and small sandy bays up to the turning point at the lighthouse, the landmark of Portocolom. Back in the harbor celebration is waiting for you once you crossed the finish line.